Why Send a Gifted Child to a Summer Program? We hear quite often of the importance of teaching the whole child. What exactly does that mean? It means that we need to consider not just the intellectual needs of a child, but the social and emotional ones as well. While this is an admirable goal, it is not always applied to gifted children. When people think about addressing all these needs of a child, they think of children with relatively even intellectual, social, and emotional development. That means that if a teacher is teaching a roomful of six-year-olds, she can pretty safely assume that the intellectual, social, and emotional needs are those of typical six-year-olds. However, gifted children do not typically follow this even development. Instead, they follow an asynchronous developmental pattern. That means that a six-year-old gifted child may have the intellectual needs of a ten-year-old child and the social and emotional needs of an eight-old, but the physical development of a six-year-old. In a roomful of typical six-year-old children, a teacher will find it difficult to teach to the whole gifted child. Programs designed for gifted children make it possible for teachers to teach to the whole child, the whole gifted child. They provide gifted children with a chance to be exactly who they are. A good gifted program will be staffed with people who understand gifted children, people who recognize that gifted children may be quite advanced intellectually, but socially and emotionally be quite like any other child of the same chronological age. Programs designed for gifted children tend to present material at a faster pace and in more depth than is typical in the usual classroom. Because gifted children learn quickly, a fast-paced presentation is best suited to their learning needs. Material is also presented in greater depth than what is typically seen in a regular classroom. Gifted children tend to want to go below the surface of material presented. They want more details, to become immersed in the topic. A budding paleontologist is not happy learning about the Triceratops and Tryannasaurus Rex living in prehistoric days. They want to know about the Pachycephalasaurus, and they want to know about the Cainozoic Era or Mesozoic Era with its Cretaceous, Jurassic, and Triassic Periods. Much of the research on gifted children and friendship tells us that when gifted children look for friends, they tend to seek out older children or other gifted children. They are looking for intellectual, not chronological peers. Unfortunately, schools segregate children by age (kindergarten kids are age 5, first graders are age 6, etc. ), which makes it difficult for gifted children, especially highly gifted children, to find their intellectual peers in a single classroom. However, research also tells us that gifted children need some opportunities to spend time with other gifted children. Summer programs for gifted children can provide those opportunities. 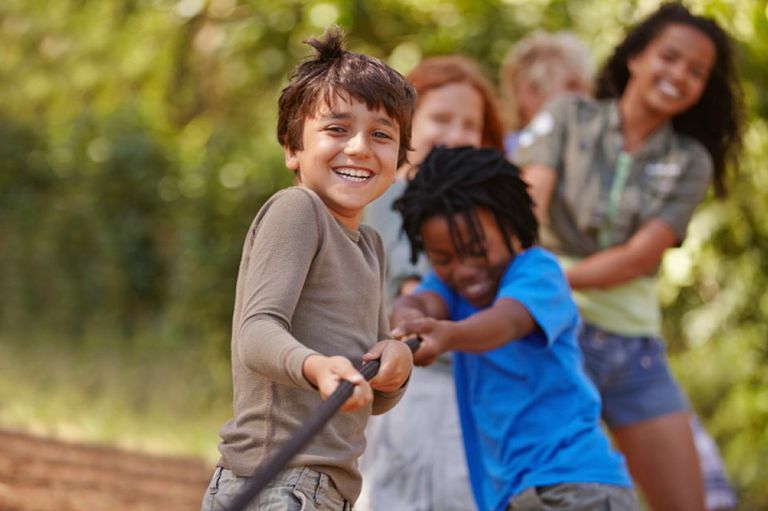 In addition to providing intellectual stimulation and opportunities to forge friendships with other gifted children, summer programs for gifted children can nurture and support a child's interests. For example, a verbally gifted child who is interested in foreign languages can attend a summer language immersion program such as the Concordia Language Villages in Minnesota. It should be noted, however, that some programs, again like Concordia Language Villages, are not designed specifically for gifted children, but they do by their very nature attract large numbers of gifted children. While it is important to nurture and support a gifted child's interests, it is also important to expose them to a variety of experiences. Unless they are exposed to other fields of study, they may not even know that they are interested. For example, a gifted child who comes from a musical family may be interested in music because she has been exposed to it, yet an interest in astronomy may never surface because the child had not been exposed to it except in a narrow way at school. Is Your Child Is Gifted or Just Simply a Fast Learner? Should I Homeschool My Gifted Child? What Does Intellectual Overexcitability Mean for Your Child?